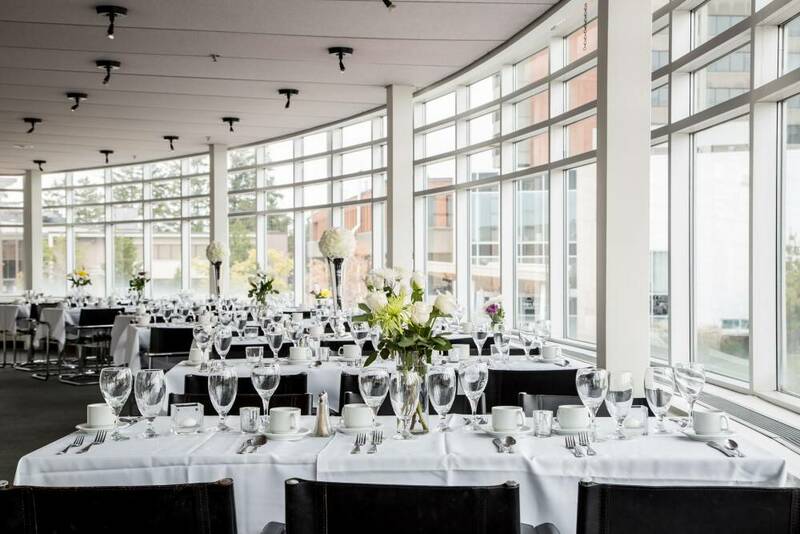 The RMG is a spectacular place to hold your next event. 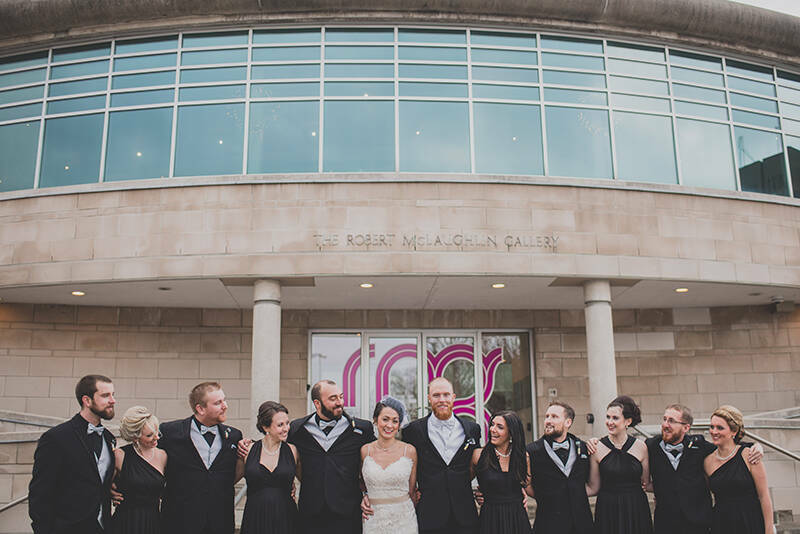 Whether it’s a wedding, party, or meeting, you will be impressed by the atmosphere and versatility of the gallery. With multiple spaces available for rent, including galleries, the lobby, a community meeting room, the studio and Arthur’s on the 4th, we can accommodate (almost) every event. The RMG also offers event consulting, audio visual equipment, gallery tours, catering, décor rental, on-site parking and free Wifi. To ensure your event goes as smoothly as possible Cheryl-Ann, our onsite event coordinator will be there every step of the way. Below are a few of our most popular events and personal stories to inspire you! Tie the knot surrounded by friends, family and artwork as beautiful and unique as you are! 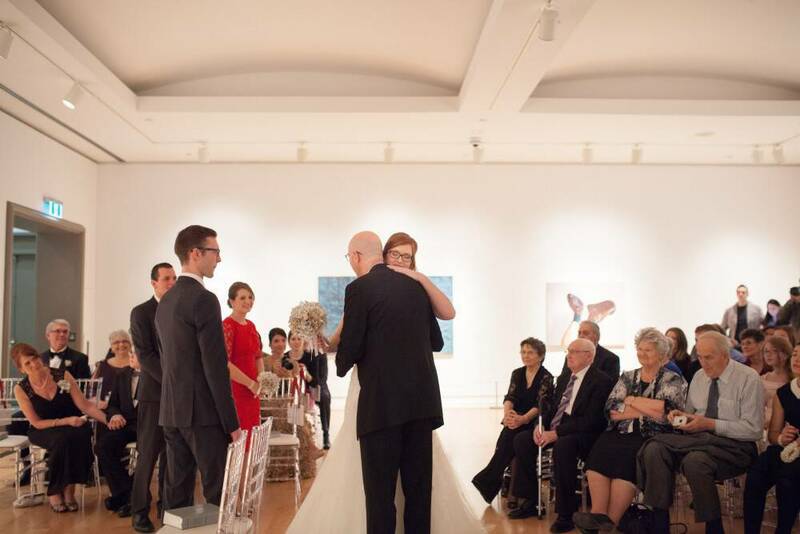 With bright natural lighting and a modern and elegant atmosphere, the gallery is great for both large or intimate ceremonies and receptions. To ensure that your wedding is the one of your dreams Cheryl-Ann, will be on hand to assist you with all your wedding day needs! After your reception in the gallery, head upstairs for your reception in Arthur’s On the 4th. An elegant dining space for up to 99 people, Arthur’s has a panoramic view of the city centre and is a comfortable space to host your guests. Inspire your business, club, or organization with a creative atmosphere. We have The Lookout, The Studio, and Arthur’s on the 4th that can accommodate meetings, large or small. We are flexible and meeting rooms can be booked for a full or half day, depending on your needs with meals and refreshments by our preferred caterer for your guests. The RMG is also a great venue to host seminars with plenty of spaces for different topics and activities, making the gallery a great alternative for getting out of the office! After your meeting, why not engage your employees with a team building studio activity, or invite them to attend a community group tour to break up the day. The RMG is also a great place to book company parties for families, with gallery tours and studio activities available for anyone regardless of age. If networking events and cocktail parties are more suited to your company, the RMG can provide various layouts and options to make your event a success and please your employees. The RMG also offers a variety of opportunities to host any kind of special event for your friends and family such as baby and wedding showers, retirement parties, birthdays, or engagement parties. Whatever the celebration may be, the RMG can accommodate you and ensure your event runs smoothly with our many services. 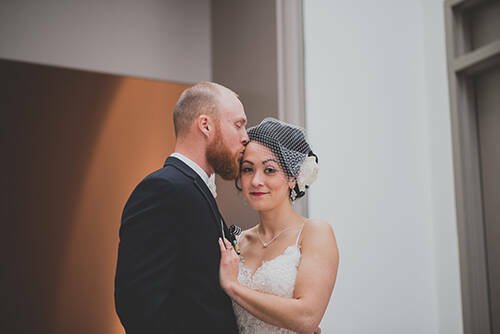 Looking for a stunning, modern venue to take your wedding or engagement photos? Hoping to take a fun and creative family portrait? The RMG is a photographers dream with soft natural lighting, modern architecture and artwork for the perfect backdrop for any photo shoot. The gallery also has an outdoor space for summer shoots featuring a footbridge, the Oshawa Creek and public art. 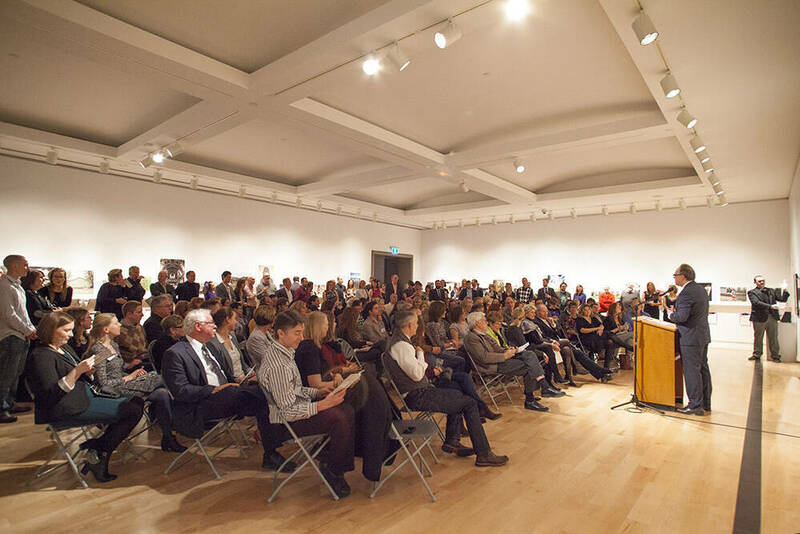 Take a look at the links below to get a taste of how others have been inspired by the gallery for their events and photos. For more information about booking your event at the RMG visit our Venue Rentals page and fill out the Venue Rental Request Form or contact Cheryl-Ann with any questions at 905.576.3000 or czamulinski@rmg.on.ca. We look forward to hosting your next event!